We are currently looking for trainee ground workers/ground workers aged 18+ with a clean driving licence and own transport. If you enjoy working outdoors in a physically demanding job and have some experience of landscaping, construction or farm work get in touch using the application form below. You may have completed an apprenticeship recently or be looking for an apprenticeship. 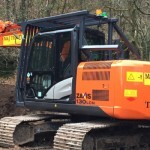 You must have a clean driving licence and have your own vehicle to travel to site each day. Most sites will be within a 20 mile journey of the Preston area so travel will not be extensive. This is a great opportunity to build your skills working on a variety of commercial and large domestic jobs. You could be helping with landscaping tasks, digging foundations, concreting, kerb laying, fencing, flagging and installing drainage systems. We will help you to develop skills in setting out an area before excavating the ground safely, constructing form work for concrete and how to install different types of concrete correctly. Protecting the work area and making sure it is safe for all other construction workers is also an important part of this role. You will use a variety of hand held tools such as shovels, lump hammers etc. and receive training on power tools and plant such as dumpers (subject to age and supervision). Working hours vary, typically 7.00 – 5.00 Monday to Friday with occasional weekends. 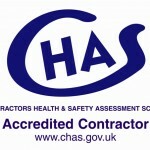 You will be working with experienced and skilled operatives. Rates on application depending upon experience and any existing skill cards etc. Please complete this application form and email it to jobs@thistleearth.co.uk We will be interviewing in late August/early September.